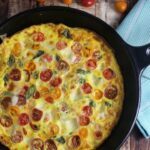 Caprese Frittata with Prosciutto - Frugal Mom Eh! This Caprese Frittata with Prosciutto is perfect for breakfast or even a family dinner served with salad. It’s full of bursts of tomato & creamy cheese. I am so excited to share with you that I am a brand ambassador for Egg Farmers of Canada this year! It’s such a great fit for me because Eggs are definitely my go-to when I don’t know what else to make, when I want to make something healthy, when I want to make something decadent. They are just so versatile. I can’t think of another ingredient with more uses than Eggs. I appreciate the Egg Farmers of Canada commitment to providing all Canadians with a constant supply of fresh, local and high-quality eggs from over 1,000 egg farms and family farms across Canada. Can you imagine the logistics that goes into that? I think Canadians in general just love eggs, and indeed more and more young Canadians are taking over their family farms and taking part in egg farming. That is good news for the rest of us! You can meet some of these egg farmers by checking out On The Farm and then head over to the Farmers’ Favourite section for some great recipes! As I was saying, my family loves eggs. 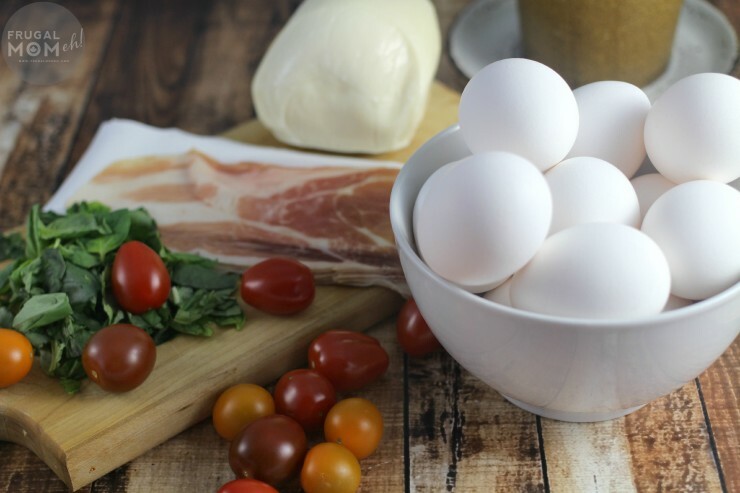 We usually buy two dozen at a time because we go through them so fast between pancakes for breakfast, poached eggs for lunch and delicious meals like my Caprese Frittata with Prosciutto and a side of salad for dinner it’s really no wonder! Whisk together Eggs and Milk then stir in the rest of the ingredients, reserving some of each to place on the top for a nicer presentation (if desired). Heat olive oil in an oven-safe skillet over medium-high heat. Pour Egg mixture into pan and cook for 4 to 5 minutes, or until the bottom and edges are set then gently lift with a spatula to let the uncooked eggs on top flow underneath. Cook until the top is almost set, about 4 to 5 minutes. Remove skillet to oven for 3 to 4 minutes, until lightly browned and fluffy. 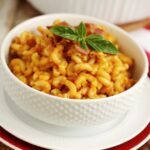 Connect with Egg Farmers of Canada for more great recipes ideas! Like Egg Farmers of Canada on Facebook. follow them on Twitter @eggsoeufs and on Pinterest! What’s your favourite way to serve Eggs? My favourite way to serve eggs is an omelette or an egg curry. Yummy! So full of flavor! This could be lunch today! 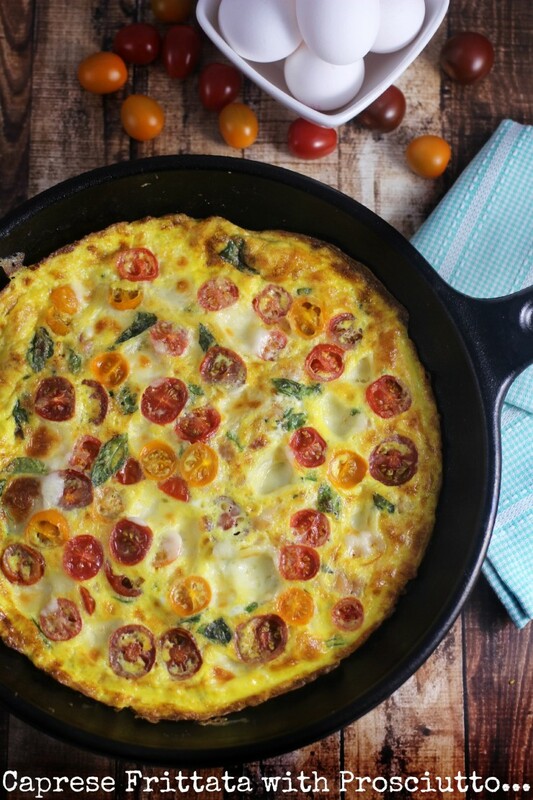 Your frittata looks fabulous, love the addition of the prosciutto, one of my favs!! Thanks! The prosciutto is so key! 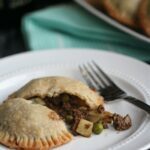 It adds a delicate smokey flavour that brings it right over the top! One of my favorite ways to serve eggs on a chilly evening is to heat a can of tomato soup, adding 1/2 cup water and 1/2 cup milk. when soup is simmering, break the amount of eggs required for 2 people in it. May be doubled if company is larger. That certainly sounds interesting, I’ll have to try it with the girls! Thanks for sharing Elva! This looks so good Liz! I would definitely try that. I have actually never made fritatta. Thanks Paula! They are SO much easier than an Omelette. I always have a hard time flipping omelettes! Delicious!! I love making frittatas and omlettes in a cast iron pan! This sounds so fancy! I can’t wait to serve it at brunch and impress everyone with my talents! I have to say that I have never made a frittata but the one you made looks great! Usually we have our eggs over-easy, poached or scrambled. This looks so delicious and I love how colorful it is! 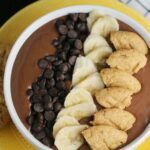 I am going to pick up the ingredients so that I am able to try this on Saturday morning. It’s a fun idea to try for my family since it’s different than what we usually have for breakfast. I just got a great set of iron pans! I am printing this to make tomorrow!! I could and probably would eat that entire thing in one sitting. It sounds awesome. This looks impeccable! OMG, so delicious, I want it now! Wowza! That looks so good! I love frittatas. You can put almost anything in them, and they’re awesome. I’m going to give this a try. OMG! That looks incredible. I’ve never even had prosciutto. HOWEVER we always have ham. I’ll bet I could use that instead. Yum! Is this breakfast or dinner? IT looks delicious enough to be both, and I just love all the baby tomatoes, so colorful and inviting! I actually eat two hard boiled eggs each morning. 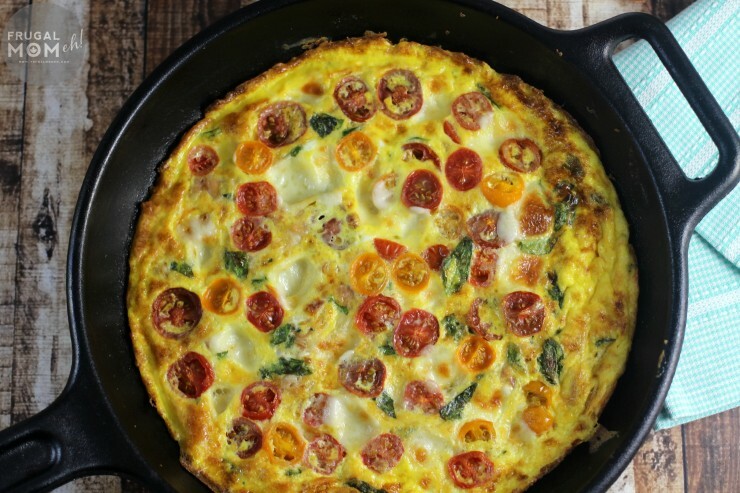 Your fritatta looks yummy. Love fried egg sandwiches. Love what you did though! Oh yum! I usually only make scrambled eggs but I might have to try this. This would be a great recipe for my boyfriend to make. Looks amazing! My kids love scrambled eggs, and having them almost every morning for breakfast. This looks like an amazing breakfast. I really love the tomatoes in it! 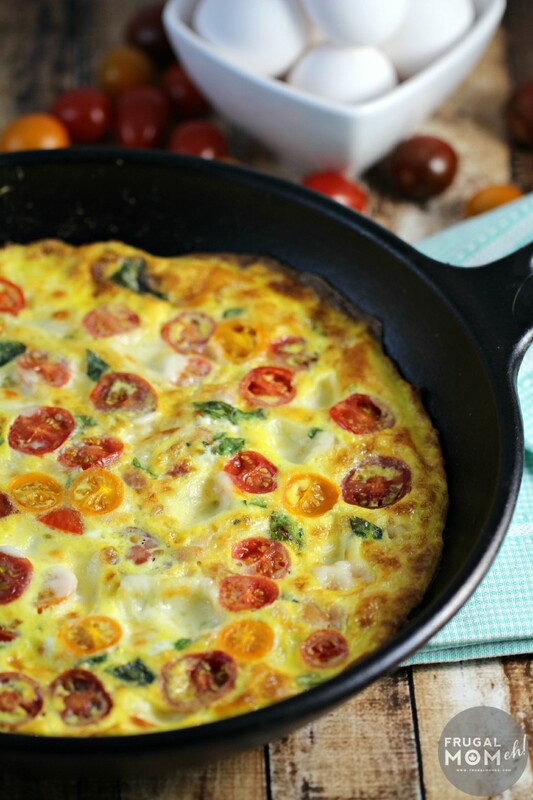 This looks absolutely delicious………..I’ve never made a frittata before, but that just might change soon! Mmm, thats my kind of breakfast, I love this recipe. Will be trying it this weekend – thanks! This looks like an amazing dish. I will have to try this recipe this weekend. I am sure it will be a big hit. Frittata is a favorite at my house. This looks like an awesome recipe! This looks so delicious, fresh and healthy! I love eggs! I love frittatas and your recipe sounds delicious! This looks totally delicious. With fresh cherry tomatoes from the garden I saved this to Yumprint so I can make this. Thanks for sharing such a wonderful recipe. 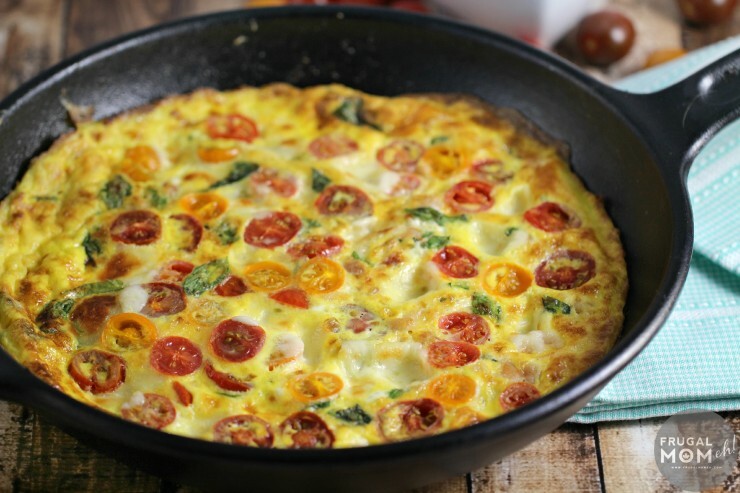 I just started getting into making Frittatas, have never tried one on the sweeter side with the basil and mozzarella , but it looks fabulous and sounds delicious ! 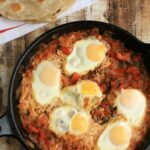 this looks delicious.. love using eggs, even for dinner!